It's almost Christmas! And just how quickly has it flown around again this year?! With less than a month to go now and the hum of Christmas shopping well and truly underway, I have put together my ultimate Christmas Gift guide featuring 12 products which I am currently loving and which would also make perfect festive treats for anyone lucky enough to receive them. From beauty essentials to home interior décor, there's a little bit of everything and there's sure to be something that everyone you're shopping for is certain to love. So grab a cup of tea or hot chocolate, switch on the Christmas tree lights are get ready to be immersed in a truly festive blog feature which should give you some great gift inspiration this festive season! You may well have seen a previous post which I wrote all about Eden Perfumes and how much I personally love their brand ethos. If you haven't seen that post, you can check it out over here. Eden perfumes not only make perfumes of exquisite quality, they are a brand with a heart. With kindness at the very core of their values, their products are 100% vegan and only made using special blends of plant and flower extracts. I adore scents which are natural and aromatic and that is exactly what these bespoke Eden Perfumes are. Left to right in the gift box: No. 074 - a vintage floral and zesty infusion called 'Citrus Fresh Woman', No. 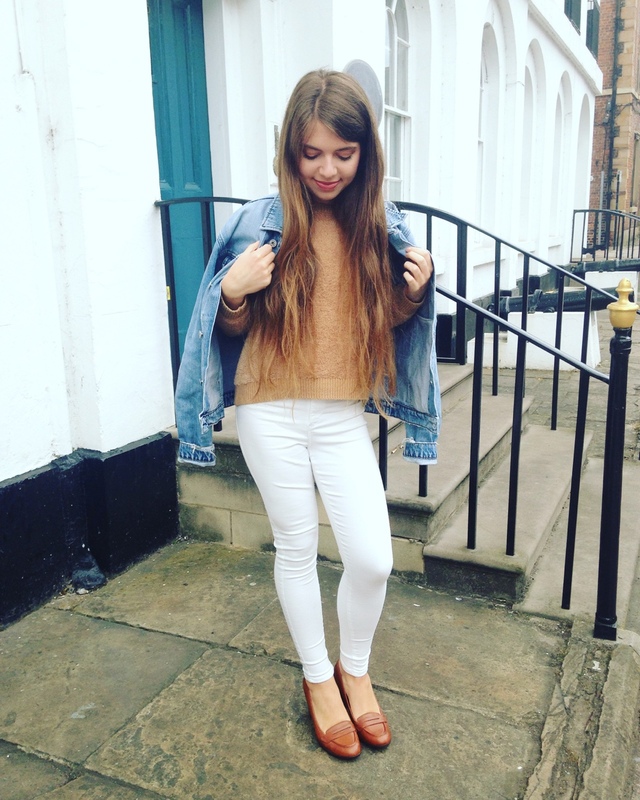 451 - Gucci 'Bloom' style and No. 138 - CK1 by Calvin Klein style - (all vegan versions of course). I also love a single scent perfume. There's something about an aroma that stands in its full potential without being mixed with other extracts that I find appealing. It's simple, natural and stunning. I chose pure rose extract, as it is a firm favourite and a true quintessential classic. I also opted for exotic passion fruit, as I had never head of passion fruit perfume before and as the fruit is so delicious and aromatic, I thought this the perfect time to test out the perfume version! Let me tell you, it is divine. and unlike any perfume which I have tried before. These single scents are new essences which Eden Perfumes have recently brought out in a wide variety of floral and fruity infusions, from apple, vanilla, lily to cotton candy, there're many to choose from and they're a 10/10 from me! Shop the rose and passion fruit single scents online. Okay so if you know me, then you'll already know that I love a good candle! Partial to the magic that is aromatherapy as well as all things Christmas (I mean who isn't?) I wanted to include this festive tumbler candle as it not only adds a fabulous interior décor accent around the festive season, it also adds the incredible scent of delicious sweet orange essential oil and is spicily topped off with cinnamon leaf and a hint of aromatic clove - it is an aroma combination which is wonderfully festive and totally able to transport you into feeling real 'Christmassy' vibes! With an amazing burn time of a huge 45 hours too, you can keep the warming, spicy aroma going well into New Year! I wrote a post specifically about Isle of Skye Candles before - take a look over here. So I love candles, but until this delight arrived, I had never owned a reed diffuser! Perfect for adding a bespoke aroma to your home, there are so many delightful variations to choose from over on Isle of Skye's website. The Vanilla and Fig scent is an indulgent, yet totally uplifting scent. The fragrances which Isle of Skye produce are all natural, so the essential oils, fruit extracts and plant-based ingredients are a perfect way of introducing ambiance to your home. The products are also sustainable and environmentally friendly too - we all know how important this is so this gift is great for the eco-conscious shopper. I adore the Vanilla and Fig scent for Christmas, as well as all year round, as it has a classic sweetness which everybody will love, with a lightly fruity edge which adds a freshness which balances and harmonises the fragrance perfectly. Set in a bedroom, living room or home office, it's a décor piece which has style and function. The Silk'ly Done spray is non-sticky and makes unravelling knots easy. Infused with hydrating moisturising ingredients, all you have to do is spritz on and gently comb through for immediately more manageable hair. The Air Does It Air Dry Foam Spray allows you to wash and go without having to worry about unwanted frizz. Simply spray this lightweight foam all over to see instant results. By the time your hair is dry, your style will be smooth and full of bounce, so it's ideal for helping to form controlled waves or curls, as well as keeping hair sleek and straight but maintaining body and volume. Likewise, the Oh-So Natural Flexible Hairspray creates ultra-definition with a soft, touchable texture and long standing natural hold. Perfect for fixing your party tresses in place before dancing the night away. This range is perfect for helping anyone embrace the natural look, as it controls the hair without looking overly 'made up'. This natural super skin booster from Myroo Skincare is a hydrating essential. For anyone who is loving all natural skincare, then this product from the UK's first Free-From brand is a sure winner, with its multi-purpose formula which can effectively treat skin and hair alike. It contains a whole host of goodies including the super food ingredients of raspberry, mango, cucumber, ginger, mandarin (these two give it its distinctly beautiful aroma), mango, papaya, carrot, avocado, olive and so many more. It can be used to treat sensitive skin on the face or body, melted between the hands to form a luxurious massage oil and even used on cuticles pre-festive manicure! What a treat! Specifically formulated for allergy-prone skin, this formulation is packed full of plant-based goodness and omega oils, that will nourish, hydrate and leave skin radiant. In keeping with the essential oils and the incredible properties which they possess which make incredible skincare, here we're taking it back to basics with a simple, pure, one oil blend carrier oil which is multi-purpose but with properties which are particularly good for calming inflamed skin and is excellent for leaving your complexion glowing with health. I am talking about Jojoba oil. Amphora Aromatics have a fab selection of bespoke oils. Jojoba oil originates from the desert areas of Mexico, Arizona and California. The oil is extracted from the seeds of a dessert shrub and it is known to help a variety of conditions including sunburn (good to pack if you're going skiing this winter) and it can be mixed with less expensive carrier oils like sweet almond oil to create a wonderful, conditioning massage blend. Add other oils like Jasmine to scent your blend and you've got a skincare dream team going on! This next gift idea I love as I think it's so versatile and would work as a gift perfectly for so many people. The sleeping bag from Feather and Down is a gorgeous gift including a satin eye mask, sleep balm which can be applied to the wrists and temples to aid relaxation, pillow spray and melting shower cream for a luxuriously calming bath or shower, all neatly packaged in a deep blue bag with gold detailing. This would be ideal for someone who is travelling often either with work or holidays, as it will aid restful sleep, no matter where they are. Hotels just aren't the same as your own home, so this will bring the comfort that may otherwise not exist. If you're a regular reader of Coconut Couture, then you may have read these previous posts on Feather and Down which I wrote about their Breathe Well range as well as gift sets. This wonderful gift is available online here or at Boots. These products are gently scented with Camomile and Lavender, both natural oils which are world renowned for their relaxation properties, which effectively ease the tension away from the mind, body and soul. True tranquillity for Christmas? That can only be a wonderful thing! I adore the feather detailing on the zip. I have an eye for detail and it's the little things like this which make a gift that bit more special. Okay so it's Christmas and that means a little bit of indulgence is absolutely essential! 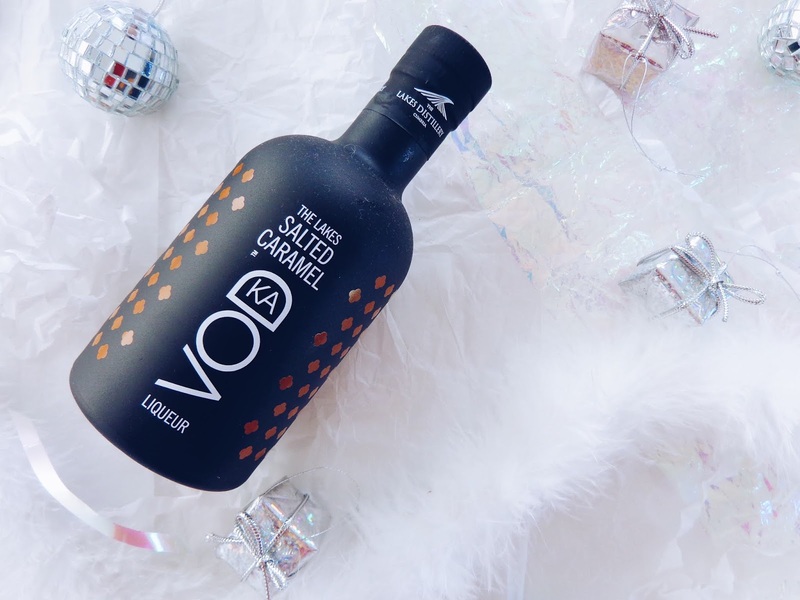 Those partial to a tipple will love The Lakes Distillery's Salted Caramel Vodka. Made in the heart of the Lake District, this vodka is intrinsically linked to its surroundings which makes it a truly lovely, thoughtful gift for those who like new additions to their liquor cabinet and are partial to drinks which have a story behind them. With its sweet, caramel notes and smooth feel, it's the ultimate festive treat and will certainly help you on your way to getting into the festive 'spirit' (see what I did there)! Here's a recipe for a cocktail which I've thought up that I think would really compliment the indulgent flavour notes of this drink. Hands up if you are also a lover of marzipan! Okay so usually only found adorning a Christmas cake or enveloped in chocolate around Christmas time, marzipan is a festive delight that I had only ever found in food form... that is until Pink and Green skincare sent over a pot of their Marzipan Body Soufflé. Needless to say, I'm loving this product and it truly does smell exactly like marzipan! It's actually a really delicate scent, which is soft and sweet, just at the right level. The Christmas smell actually comes from plum kernel oil which is famed for its incredible skin nourishing properties. It has oleic acid, linoleic acid and vitamins E and B as well as beta-carotene naturally occurring in it, making it a super food for you skin! The formula melts into the skin when warmed between the hands and the shea butter has a richness which is unparalleled - your skin will love you for using it! Check it out online on Pink and Green's website here. 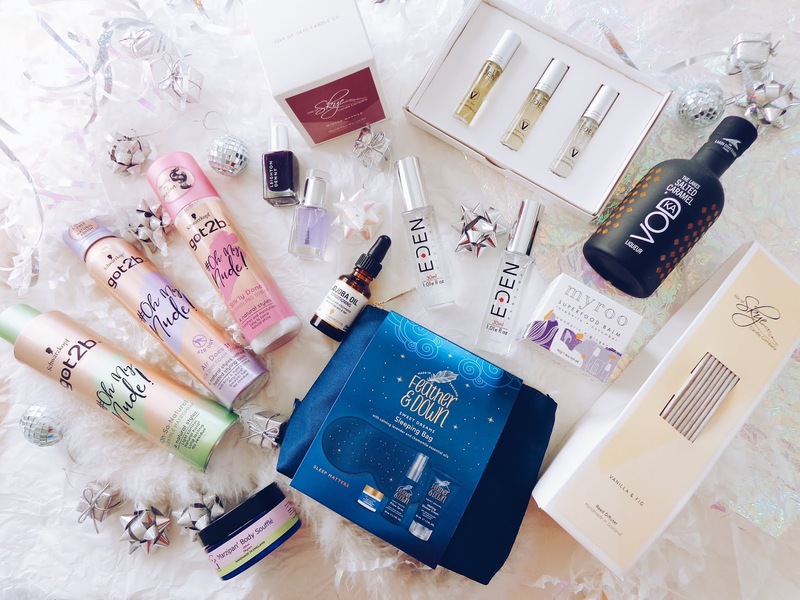 So finally, let's round up this 2018 gift guide with a fabulously sparkly gift that will have beauty addicts beaming if they receive this in their stocking! Leighton Denny has brought out beautiful Festive Nail Duos and the festive pair which I have is so wonderful! The deep red shade is called 'Merrymaker' and is a mysterious berry tone and the glitter snow globe top coat is called 'Silver Siren'. This topcoat amplifies the base shade giving the wearer a unique colour cocktail allowing them to go from day to evening in one simple step! What's different about the snow globe top coat is that the formula isn't like traditional glitter nail polish. Instead, it is a water-like mix that is lightweight and still has the full effect of a glitter polish. Nail glam perfection! This Christmas Gift Guide contains PR samples from each company included. All views remain honest and my own.